I almost wouldn’t have written this post! 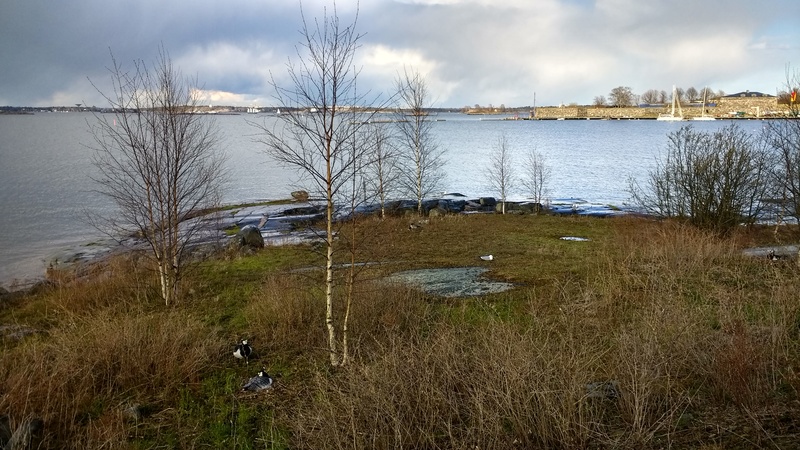 At least I wondered if I would survive after joining a nature excursion to an island that is located only some 100 m from the seashore in front of Kaivopuisto, but felt like being located at the Northpole. I could have done with a few more layers of clothes, but even the properly dressed Finns were admitting that it was kind of chilly out there. 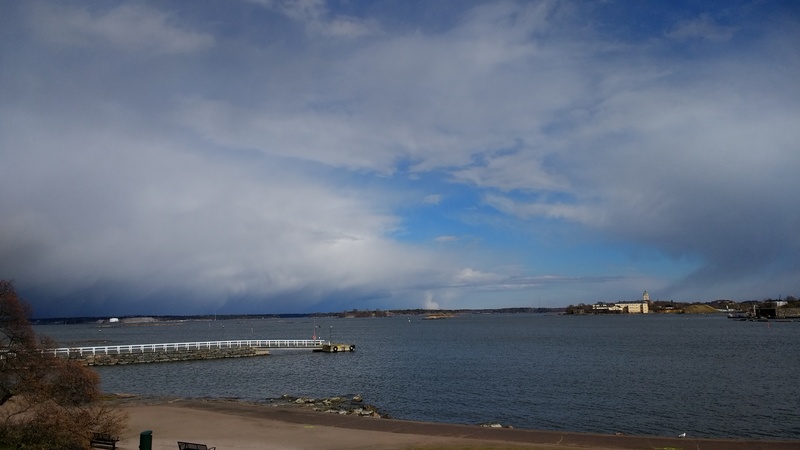 The island is part of “ulkoinen saaristo”, meaning, it is an outer island and behind it lies the open sea. And with that comes the wind, merciless, icy Finnish spring-wind. The view, however, was spectacular. 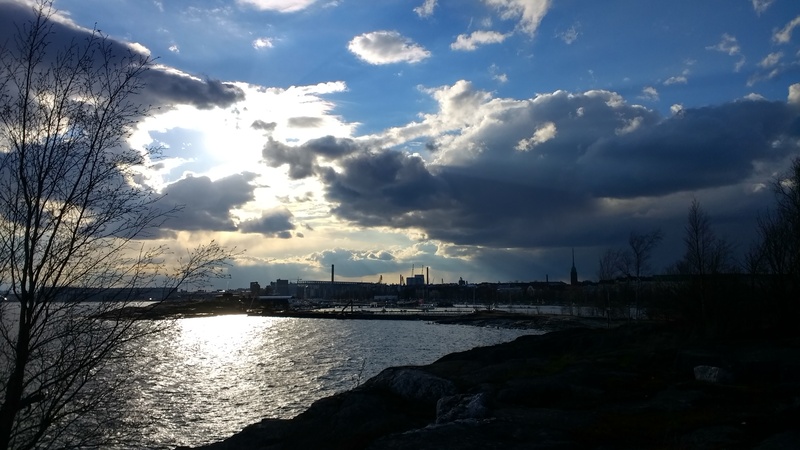 While I could have done without the snowflakes from those beautiful clouds when they passed the island, and the wind who moved them forward, I loved the drama of this nordic sky. Should you want to go, there is a ferry-boat going from the pier at Café Ursula.